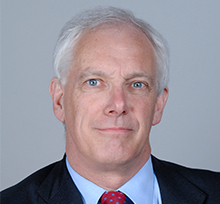 Stephen Hallam has many years of experience in the successful resolution of complex commercial and financial disputes, whether through litigation, arbitration or mediation. His clients include financial institutions, international corporations, companies in the energy and construction industries, high net worth individuals and senior executives. His work is broad based, encompassing High Court commercial litigation (usually for international clients), international arbitration, civil fraud, asset-tracing and recovery, and FCA regulatory investigations and disciplinary proceedings. Before joining Brown Rudnick, Stephen was a partner in a major London law firm for 19 years. He is recognised as being one of the leading commercial litigation lawyers in London and is recommended by clients for his "thoughtful, pro-active and effective" approach to the successful resolution of disputes. Stephen is a Fellow of the Chartered Institute of Arbitrators and holds that Institute's Diploma in International Commercial Arbitration. Acting for an oil industry services company in an ICC arbitration relating to a dispute with its local agent in the Middle East. Representing the former majority shareholder of an overseas bank in a multi-million dollar LCIA arbitration arising from the sale of the bank. Acting for a Dutch oil industry services company in an ICC arbitration in London and related court proceedings in France, in a dispute arising out of an agreement for the supply of pipeline equipment. Acting for the chairman of a leading UK life insurance provider in an investigation by the FCA. Representing the chief executive of the UK branch of an overseas financial services company the subject of an investigation by the FCA. Acting for the chairman and managing director of an international insurance company the subject of an investigation by the FCA. Acting for a European bank in High Court litigation against an international auction house to resolve issues relating to title and the right to sell works of art the subject of competing charges. Representing a Romanian company in litigation in the English High Court concerning a disputed guarantee agreement. Representing a 50% shareholder in a company in litigation in the English High Court against the other 50% shareholder, seeking the winding up of the company on just and equitable grounds.